A rock musical from 1974, directed by Brian De Palma with music by Paul Williams. Much like The Rocky Horror Picture Show, it did not do well in its initial release (outside of Winnipeg and Paris that is, for whatever reason) but went on to develop a cult-like following through midnight screenings in various locations. Jessica Harper, who would go on to play Janet Majors in Shock Treatment several years later, makes her film debut here as Phoenix. 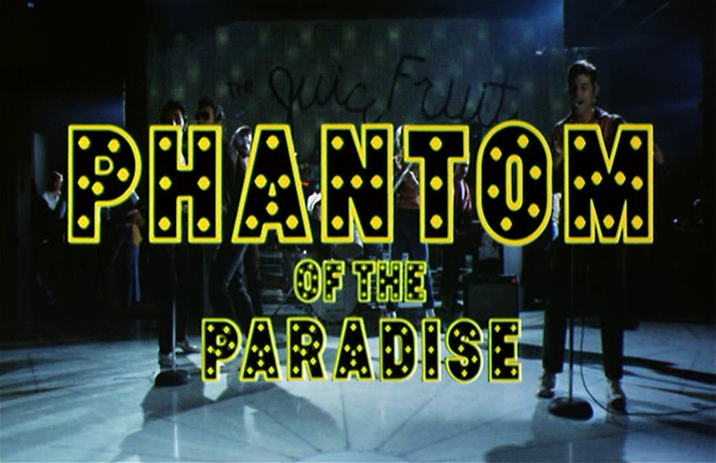 Swan Archives - Phantom of the Paradise fan site. Phantom of the Paradise (1974 Production Notes) - Included in the press kit from 20th Century Fox, for the original release of Phantom of the Paradise. 3,445 word HTML document, 24 KB.